Inside and out, you’ve made a serious investment of both time and money in creating a beautiful home. For most people, there are two primary reasons for installing window films: rejecting heat to increase comfort and fade protection from damaging UV rays for furnishings. One of the major drawbacks of traditional window films is they tend to act like mirrors. From the inside, these films make it difficult to see outside, especially at night when interior lights are on. 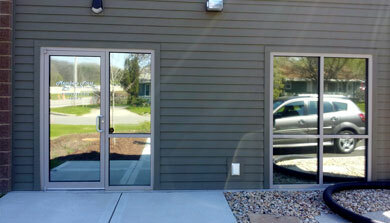 In the daytime, the outside reflection can makes homes look like a commercial building. With 3M Sun Control Window Film Prestige Series installed by NuVision Window Film & Graphics, you can enjoy the benefits of a world-class window film while leaving the beauty of your home virtually unchanged. 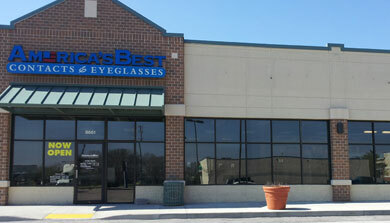 We have custom window films available for redirecting sunlight and decorating your windows. These coatings will transform your building without expensive construction or extensive remodelling work. Contact us for a quote or to learn more about customization. 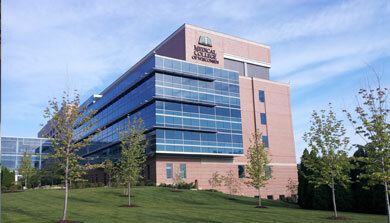 Privacy window films can be tinted to reduce UV ray exposure without blocking the view. One-way or two-way versions are available, depending on the level of privacy required. Protect your home or business from UV rays, excess heat, and more with NuVision solar control window films. Many home and business owners in Wisconsin believe they do not need tinted windows because of limited sunlight in winter. However, snow can intensify sunlight by reflecting it back inside, leading to all the same damages as direct summer sun. Exposure to the sun’s UV rays can lead to sunburn, wrinkles, or even skin cancers like melanoma. Solar control tinted windows is one way to protect your skin from the sun. Since window films stay on all year, you get the same level of protection in summer and winter. 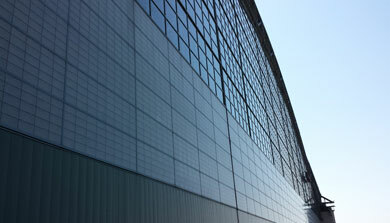 Tinted window films reduce the glare from sunlight, making it easier to stop fatigue from eye strain. This also protects your furnishings from fading. Wood, carpet, and fabric can all lose their color due to sunlight exposure.  3M Sun Control Window Film Prestige Series reject up to 97% of the sun’s infrared light to help keep your home cool and lower your energy bills. 3M™ Sun Control Window Films are designed to reduce the effects of solar heat and visible light on your furnishings, blocking up to 99% of the sun’s harmful ultraviolet rays. The NuVision window coating experts will help you find the right sun protection for your windows. Our years of industry experience allow us to know which high quality solar control films will provide the best results for different window and building types.  Learn about our 3M Thinsulate and 3M Daylight Redirecting film options below. 3M Thinsulate Window Films are part of the Climate Control Series, made to protect commercial and residential properties from rising energy costs. Uncovered windows allow air from outside to enter, creating drafts which change the temperature. When you repeatedly change the thermostat, you waste money. With Thinsulate, you eliminate these drafts and regain control over your indoor climate. Daylight Redirecting Film is made to increase natural light indoors while reducing glares and direct exposure to UV rays. Used at home or work, these films change the angle of sunlight coming in through your windows. Light can now reach up to 40 feet away from the original window. Sitting near a window for 8 hours at work can lead to headaches or even sunburn. By moving light, you keep worker productivity up. At home, you can reduce energy bills by lighting your home with natural sunlight instead of energy-consuming lamps. A Free Solar Control Film Installation Quote Today.